This beautiful villa, in the area between Valombrosa and Valdarno, has its origins in the 11th century, although modified and enlarged until the 17th century. 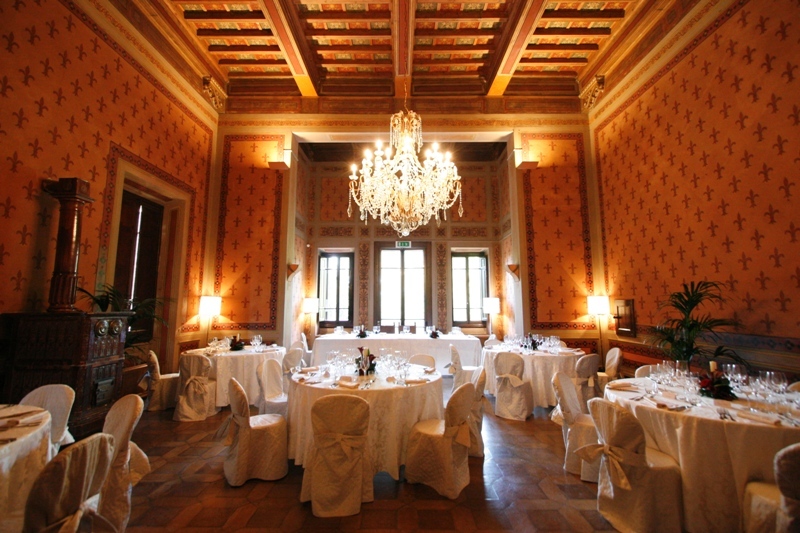 The area is a wonderful mixture of grape vines, olives, and green valleys, and both the villa and the countryside are a home to the true Tuscan tradition.This villa, run as a top hotel, and rooms are given at nightly rates for the hotel rooms, as well as excellent weekly rates for those interested in a longer stay. 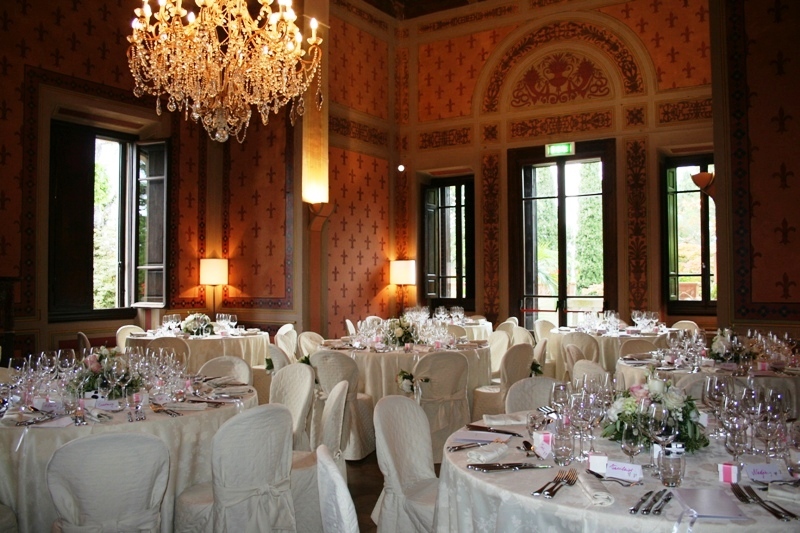 There are a total of 59 rooms, and a great choice of internal and external locations for the ceremony and reception itself. As well as the internal courtyard you see in some of these images, there is also a lovely chapel for a religious or symbolic blessing ceremony. 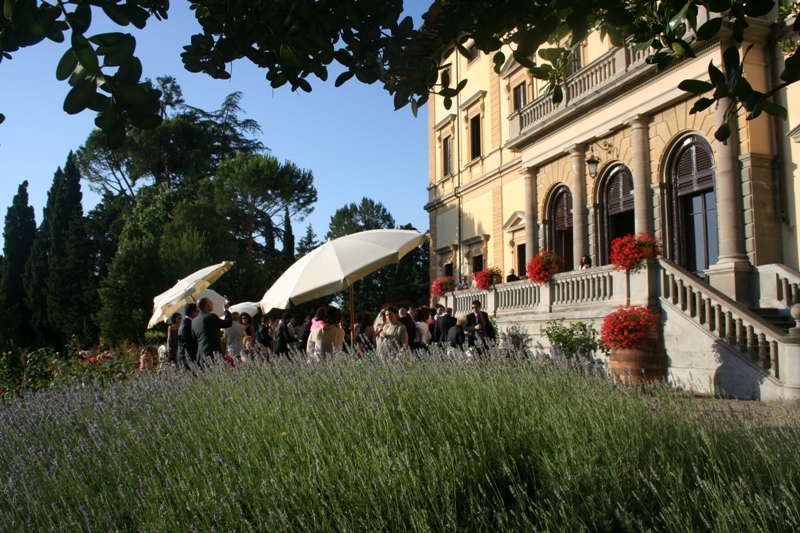 The hotel arranges the wedding catering in true Tuscan style, and we can arrange events around the wedding day itself if you prefer. Even if you are not planning on taking exclusive use of the hotel, the location is ideal for a wedding for 30 or more guests, and you’ll have perfect intimacy and privacy for the entire event.